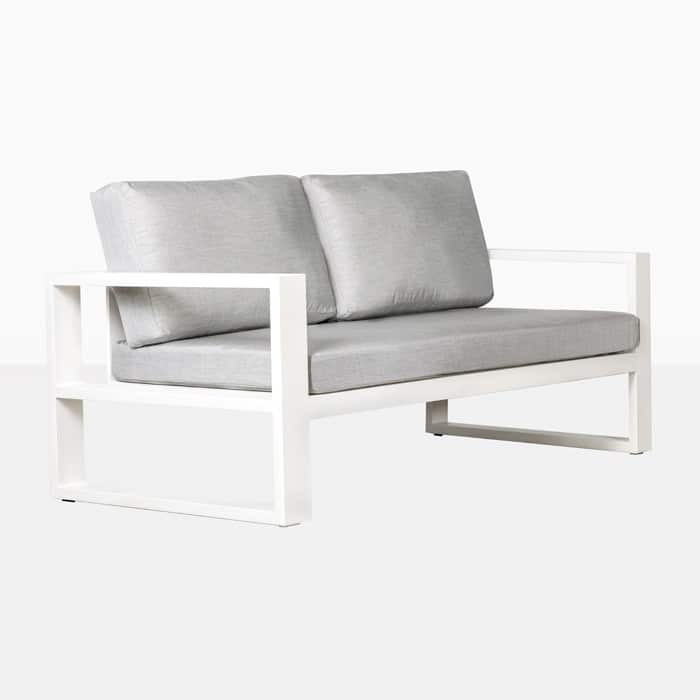 From beach house to high-rise apartment, the Mykonos Sectional Loveseat with a Left Arm in White will answer all your wishes for stylish outdoor furniture. 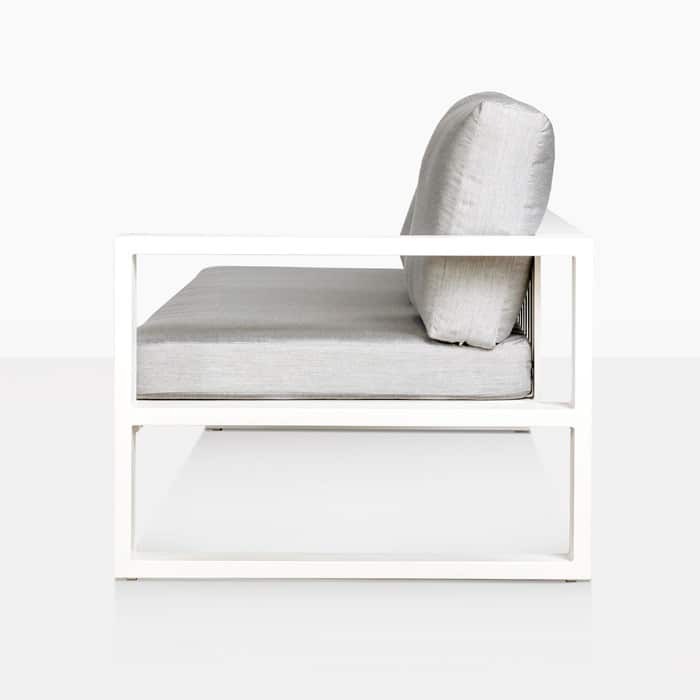 Mykonos is about unique composition with ultimate comfort. 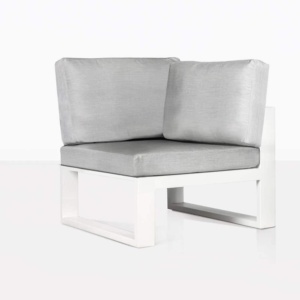 The striking combination of powdery white aluminium, crisp, angular structure with the plump Sunbrella© cushions is simply unbeatable. 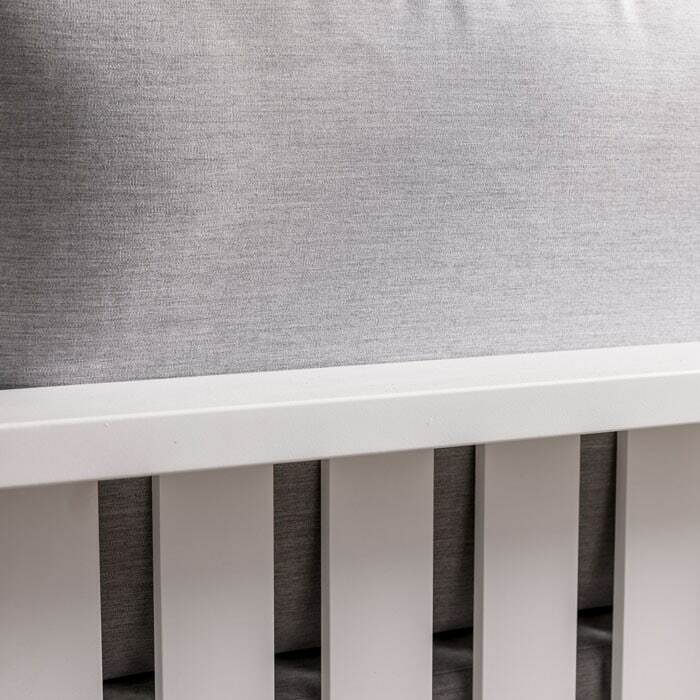 Even from the back this range is a sight to behold, with the attractive panels of aluminium running down the height of each piece in between a solid stylish frame. 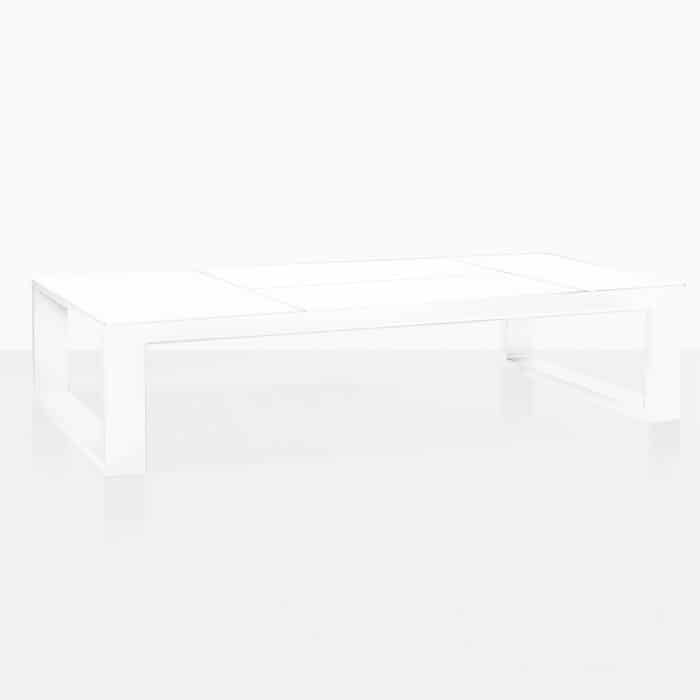 Not only is each piece of furniture beautiful, original, chic and smart; but Mykonos is one of the most versatile contemporary collections we have! 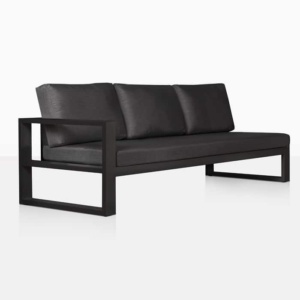 As well as the Left Arm option of this marvellous modern Loveseat, it is also available in a Right Arm; the Mykonos Outdoor Sectional Corner is the perfect addition, as is the Left/Right Sectional Sofa option, we have full armed Sofas, Loveseats, Club Chairs and, of course, a range of fabulous Coffee Tables. 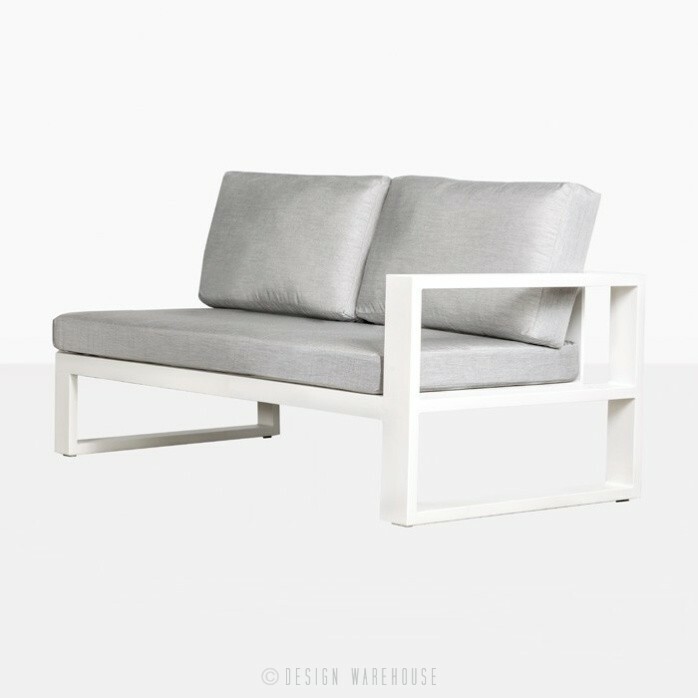 This one armed sectional Loveseat or 2 Seater gives you the options you need to make your outdoor space unique, and be a personal haven of luxurious comfort. 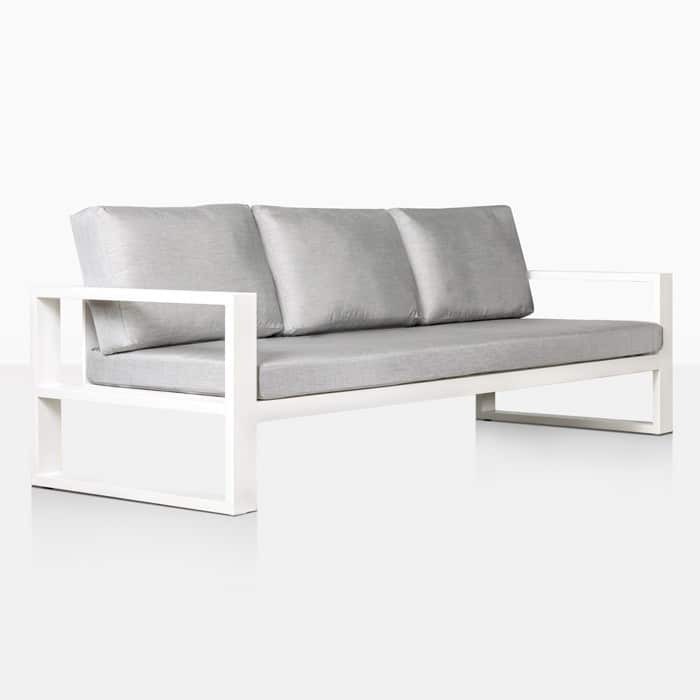 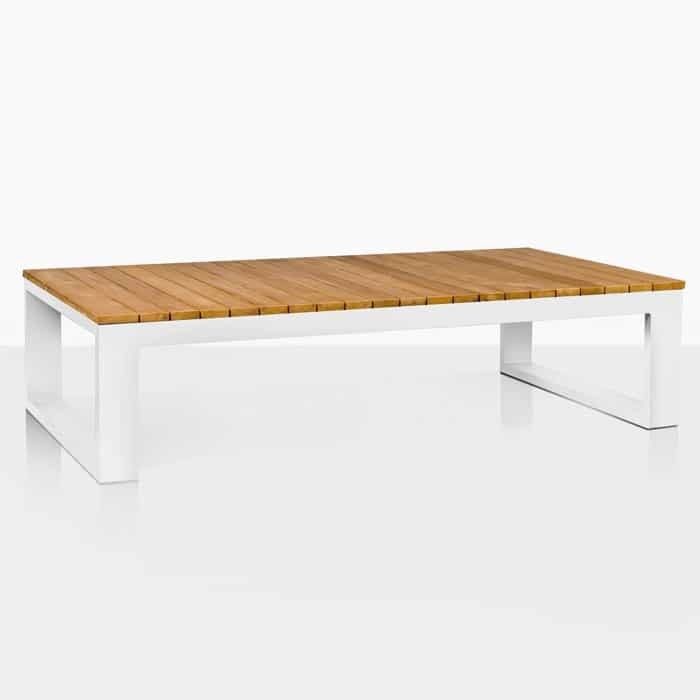 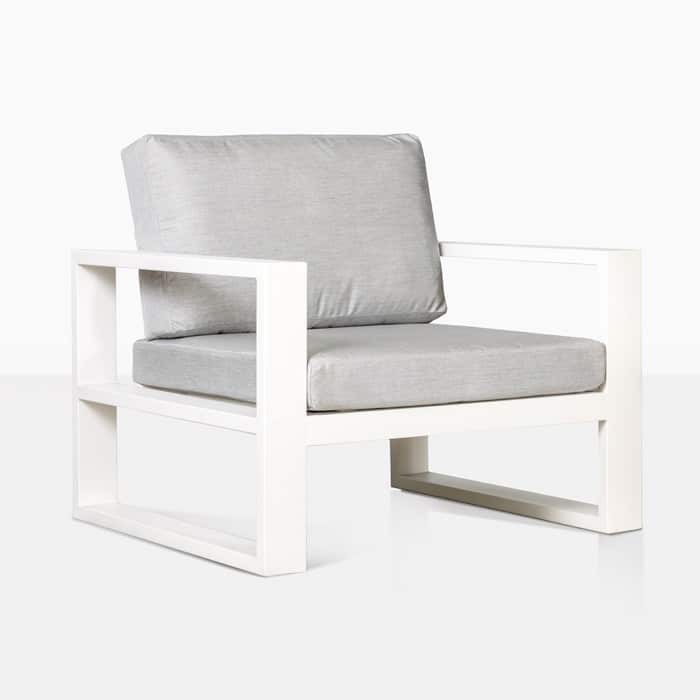 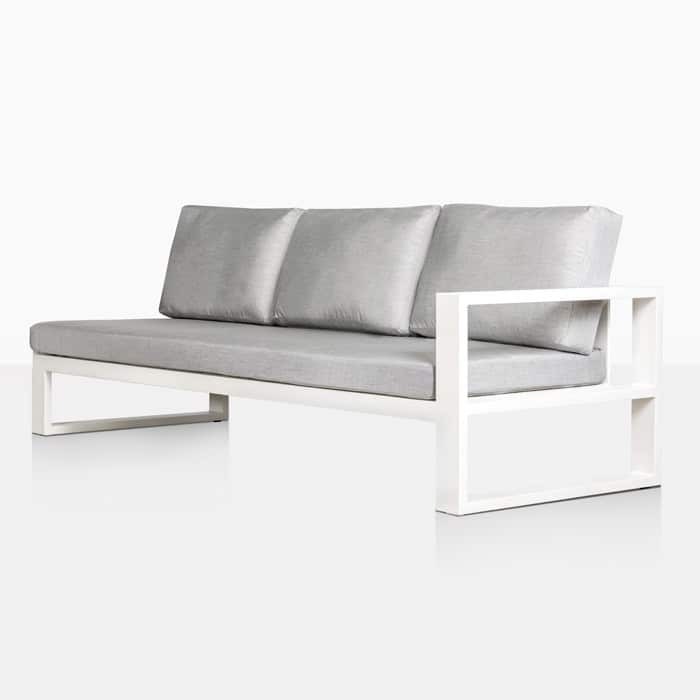 Whether it tucks away as a singular piece on the corner of your deck or is part of a large configuration in your garden or patio, this is a modern and majestic piece of outside furniture to suit every occasion and every area. Place one of the Left Arm Mykonos Outdoor Sectional Loveseats right next to a Right Arm for a long sofa, overlooking your view and keeping you in quality comfort for hours on end. 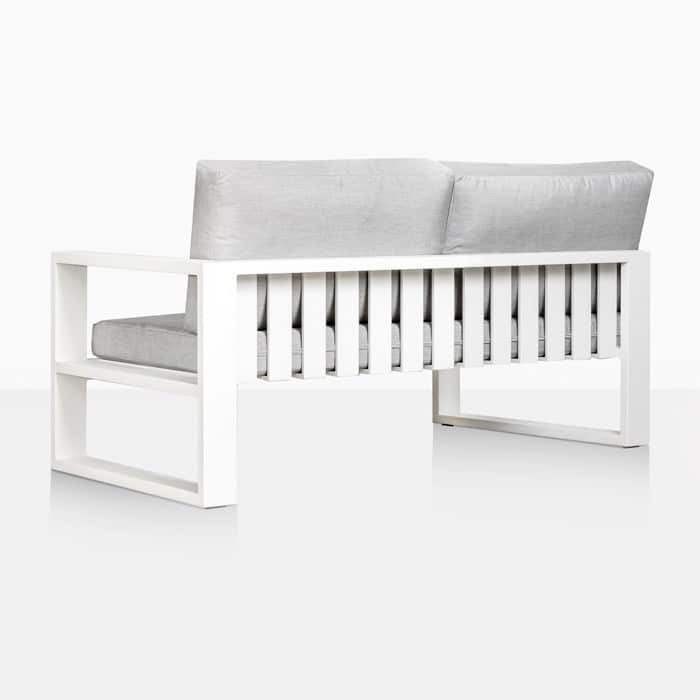 Mykonos is available now at Design Warehouse with free gorgeous Sunbrella® cushions as shown! 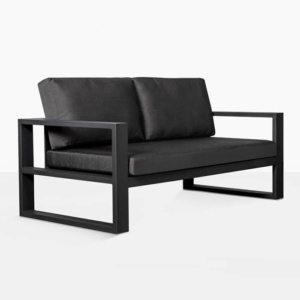 Call us now to discuss what configuration works for you!